Cardinal George Pell, prefect of the Secretariat for the Economy, outside Rome’s Hotel Quirinale, March 3, 2016. Credit: Alexey Gotovskiy/CNA. “It was absolutely clear to everyone in that court that the accusations were baseless. 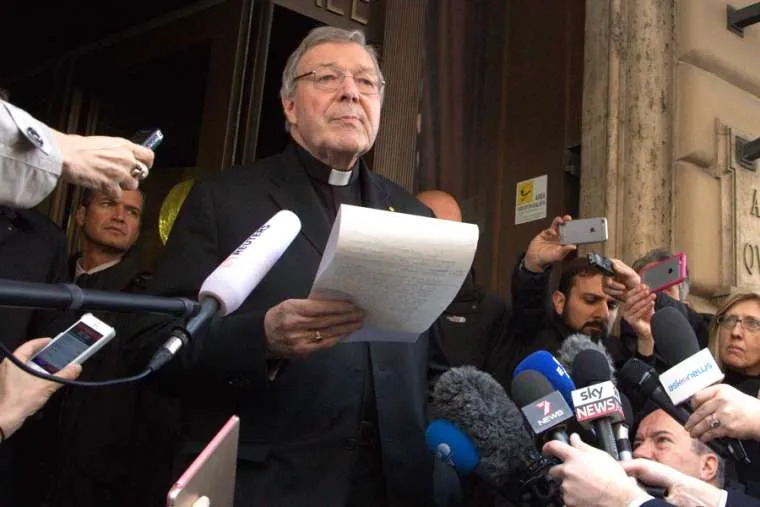 It wasn’t that Pell didn’t do what he’s accused of – he clearly couldn’t have done it.” ….